Red and Green. The colors of Christmas. The colors of the Mexican Flag. What a perfect theme for a totally unforgettable (not to mention, original) holiday fiesta! So, hey. Let's do it! Visit your local party store and stock up on red and green plastic tablecloths, paper plates, napkins, utensils and cups. If you find a pi�ata with those colors, then by all means, buy it! And any other Mexican fiesta themed decorations that catch your eye. Also, pick up a dozen or two small votive candles and as many lunch sized brown paper sacks. On the day of the fiesta, you will fill each with some sand or soil, insert a candle and line the walkway to your front door with authentic Mexican fiesta "luminarios. "Next, visit your local music store and pick up some Latin music - even some Latin Mexican Christmas carols. Depending on the size of the crowd you've invited, you may need to adjust the recipes that follow. There is enough here to make plenty of good times for 10 people! So let's get going! Easy, quick and always a hit, these Margaritas are the real thing. The number one rule here is: No Mix. They're better this way-by far! They're also a great way to jumpstart any party. You can serve them on the rocks or blended, whichever way you prefer. One blender-ful serves four. 1. Place tequila, Controy, limejuice and cranberry juice in blender. 2. Fill until almost full with crushed ice. Shake well or blend until very slushy. 3. 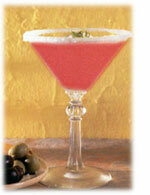 Wet rim of martini or Margarita glass with water and swirl in small dish of salt. 4. Pour Margarita into the glass. Ole and Feliz Navidad! You may want to make this very RED drink instead of Margaritas, unless you're expecting a large crowd. Then you can do both. Sangr�a is a popular party drink that originated in Spain. It's fruity and tastes somewhat like a delicious RED wine punch. However, beware that the Mexican version has Controy and Brandy, which give it a little extra jolt. This recipe makes a little over a gallon. You can make it in punch bowl and let your guests serve themselves. 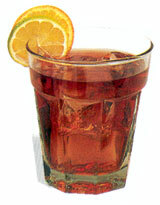 (Easier on you) Serve it in tall glasses filled with crushed ice, or in chilled wine glasses without ice. Save the "drunk fruit" afterwards to use for a quick second batch if you run out, which you probably will-because it's a real winner! Serves eight to ten and takes about an hour to prepare. Using a vegetable peeler, peel the skin from the Orange so that it's very thin. Put the Orange peel in a small bowl. Using the back on a spoon, bruise the peel to extract the oil from the Orange. In a large punch bowl, combine wine, Orange juice, Controy and brandy. Add Orange peel and sugar into wine mixture. Separate Orange into sections and cut sections in half. Cut the apple and pear into small pieces, leaving the skin on. Half the limes and cut them into thin slices. Slice bananas. Add all fruits to wine mixture and chill at least four hours. Guacamole is a staple in Mexico. If fresh ingredients aren't available, you can often find prepared guacamole in the deli section of your supermarket. This recipe takes about 20 minutes to prepare and will serve 6 to 8. Plus, it's GREEN! And to keep the theme going, use RED and GREEN tortilla chips if you can find them! Slice avocados in half and remove seed. Scoop avocado pulp out of the skin using a spoon. Mash avocados in a medium-sized bowl. Add lemon juice, diced tomatoes, green onions, garlic, salt and pepper. Add salsa verde to taste. Stir well, but stop while it's still slightly lumpy. Refrigerate, covered until ready to use. 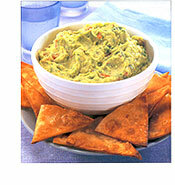 Can be made up to three hours in advance.To serve, place guacamole in a bowl in the center of a round serving dish. Garnish with shredded cheese and olive. Surround with RED and GREEN chips. This tasty, tangy salsa-like dip has a superb array of flavors and colors (LOTS OF RED & GREEN) truly will remind you of confetti. You can make it spicy or mild, depending on whether you include or omit the jalape�os. At parties, I make a bowl of each and put a little red flag on the "hot" bowl to scare off those people who can't take the jalape�os' fire. It's festive and it's an original too. Serves eight to 10 and takes about 20 minutes to prepare. Don't forget to serve it with those RED and GREEN chips! Mix all ingredients in medium sized bowl. Cover and refrigerate at least an hour. This can be made ahead and chilled for up to eight hours. Place in serving bowl on large round platter surrounded by RED and GREEN tortilla chips. Then sit back and wait. The compliments will astound you. Ceviche reminds me of the colors of the Mexican flag-red, white and green. Perfect! It originated in places where seafood was plentiful but refrigeration rare. This appetizer is light, low in calories and has become popular all over California, Baja and mainland Mexico because of its subtle but spicy taste. Serves 6 to 8, depending on their appetites and takes about 30 minutes to prepare, once the fish has "cooked." Cover and refrigerate for one to three hours, stirring occasionally. Fish should become quite white and scallops will lose translucent appearance. (Once this happens, you will know that the lemon juice has "cooked" them and they are quite okay to eat.) Just prior to serving, add avocado and top with remaining cilantro. Serve in a bowl surrounded with RED and GREEN chips or saltine crackers. This delicious, amazing coleslaw also features all the colors of the Mexican flag-which makes it wonderfully suited for the holidays. The recipe serves six to eight and takes about 25 minutes to make. Count on people going back for seconds on this one! It's that good! Combine all ingredients and chill overnight in the refrigerator. The chipotle chiles, which are smoky jalapenos, canned in RED adobo sauce, give this sea bass an incredibly different and delightful flavor. When they are baked together with wine, tomatoes, potatoes and GREEN cilantro, the fish takes on a distinctive, mouth-watering flavor. It's also very festive (and you don't have to worry about a vegetable dish!)! Serves eight and takes about an hour to prepare. Transfer fish and juices to a 9 x 14 inch baking pan. Arrange onion and potato slices around fish and place in oven. Don't turn it on yet! About 45 minutes before you plan to serve dinner (or right about when the guests begin to arrive), turn the oven on to 375 degrees. Bake for 30 minutes. Remove from oven, add tomatoes, pour wine over fish and sprinkle with cilantro. Bake an additional ten minutes, or until fish flakes easily with fork and potatoes are done. Arrange fish on large platter with tomatoes, potatoes and onions. Pour juices over fish and sprinkle with cilantro. Garnish with remaining lemon quarters and serve immediately! 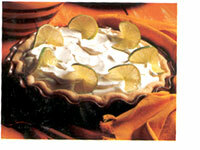 GREEN Margarita pie is a perfect way to end any elegant meal. Light, unusual and incredibly tasty, your guests will feel the essence of Mexico tickling their tongues as they slide that first bite of pie into their mouths. And they'll definitely be back for seconds. This makes two pies and takes about an hour to prepare. Combine pudding mix and GREEN Jell-O mix. Stir in 1/2 cup water and beaten eggs. Blend well. Add remaining water and pour into medium sized saucepan. Cook over medium high heat, stirring constantly until mixture comes to a full boil. Remove from heat. Stir in limejuice, tequila and Controy and chill two hours. Fold whipped topping into chilled mixture. Spoon into piecrust and chill until firm, at least two hours. Garnish with GREEN lime slices.